A Hilton in Seattle feels more or less like a Hilton in Texas or a Hilton in New York, but our Airbnbs are a different story. Think: myriad tiny houses, historical exposed-brick apartments, twee Victorians and even a hobbit-hole replica. We explored three of the region's bespoke vacation rentals. Airbnb began as a service for thrifty travelers seeking couches to crash on, but the company has evolved. What was once just a way to make extra cash off backpackers has become the go-to site for the truly bespoke vacation. A Hilton in Seattle feels more or less like a Hilton in Texas or a Hilton in New York, but a truly world-class Airbnb has the authenticity of the familial, the tang of terroir. After all, you’re renting an experience that someone — a local — wanted to badly enough to build it for themselves. And Seattle, where something vomit-inducingly charming is always a stone’s throw away, is chock-full of Airbnbs that fall under the “so cute you want to squeeze it to death” category. 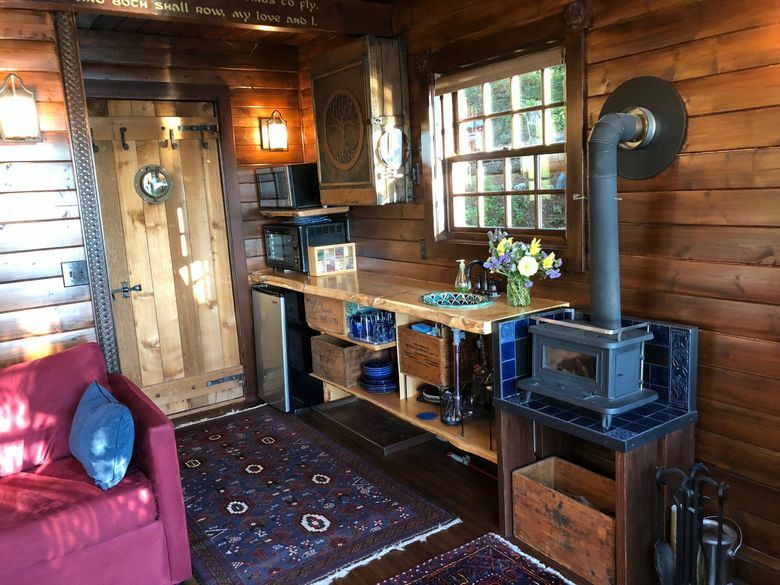 Myriad tiny houses, historical exposed-brick apartments, twee Victorians and even a hobbit-hole replica are sprinkled across the Puget Sound area. Of course, this city is all about the water, winking at you from every angle. 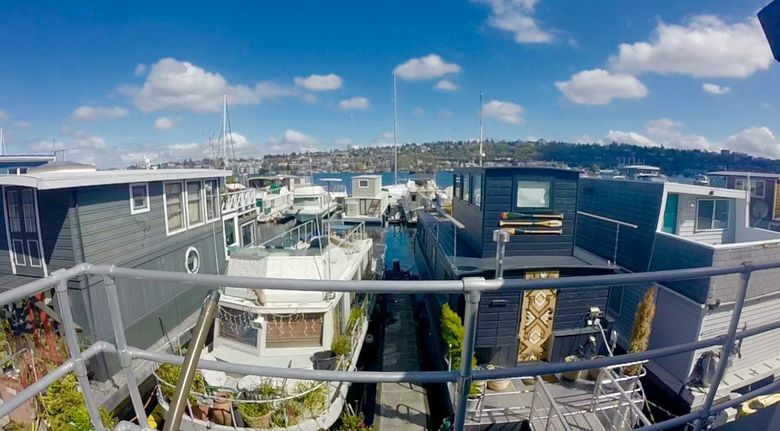 A houseboat is the quintessential “Sleepless in Seattle” experience, with the waves rocking you to sleep, the scent of saltwater and wet wood in your nose and the odd gull or duck to greet you in the morning. 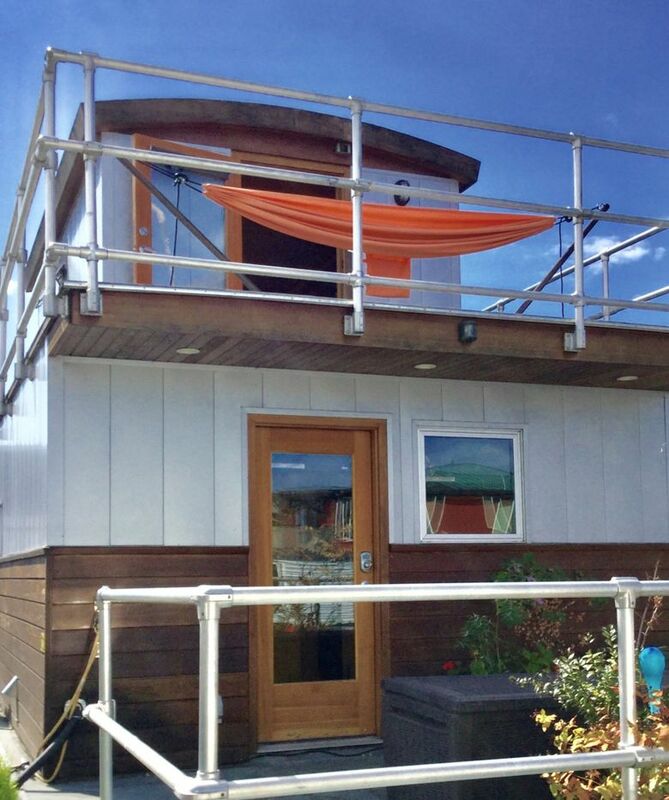 With the novelty of scaled-down furniture and cozy corners, staying in a houseboat feels like living in a tiny home. 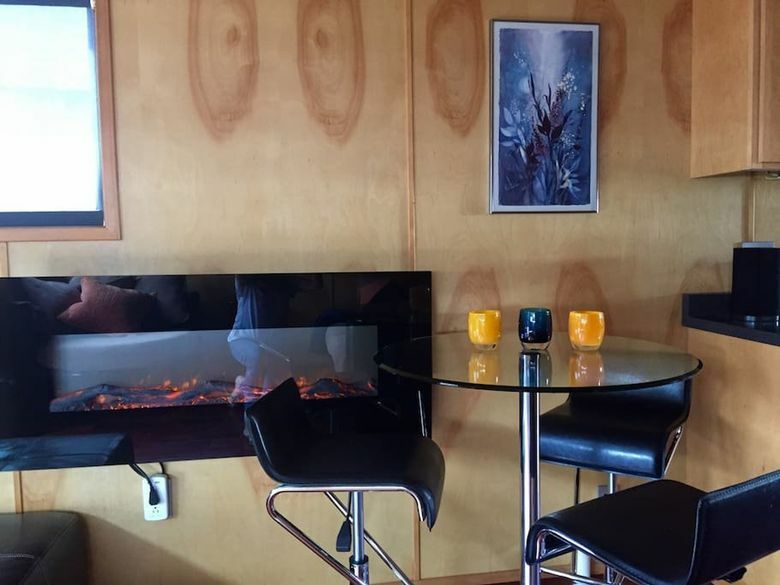 The Knot Home, found on Airbnb’s kicked-up-a-notch site Airbnb Plus, has all those features in clean modern lines and blond wood, like a houseboat made by Swedes, with two decks, a fireplace heater, a hammock and a full bathroom — even a washer and dryer somehow squirreled away inside. Your host on the Knot Home is Michaelle Wetteland, a retiree and fellow houseboat resident whose current full-time gig is hosting three nautically focused Airbnbs. 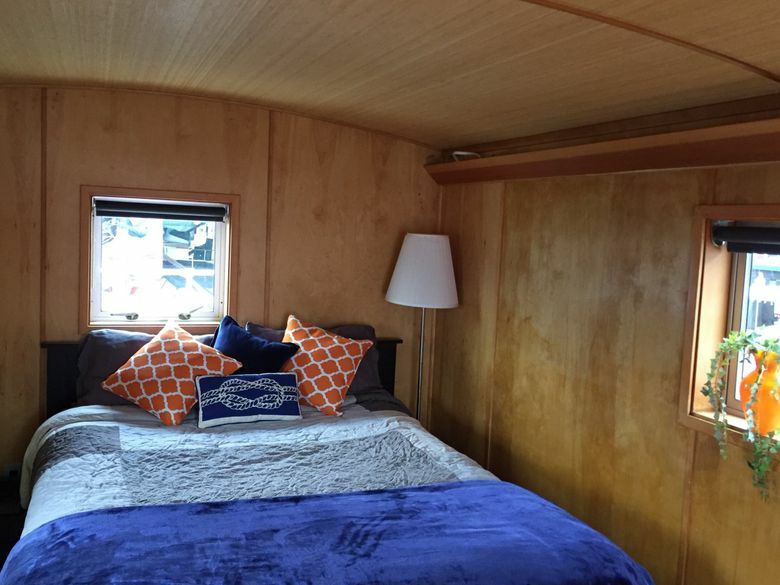 Wetteland manages the Knot Home, a sailboat and what she describes as a “yacht home,” all of them listed on Airbnb. The Knot Home sits docked on Lake Union behind the China Harbor restaurant. The houseboat and yacht home stay where they float, but if you rent the sailboat, you can pay the owners to take you sailing on the lake for $50 a head. But if water isn’t your thing, there’s always the woods, deep, dark and lushly unsettling, where you can go “Twin Peaks”-meets-“Twilight” and get a cabin — or better yet, a tree house cabin. Built on a dramatic slope, Sean and Bob O’Connell’s floating fairy house on Lopez Island looks like something Ewoks would live in, suspended (solidly) between two living Douglas firs that stick up out of the front and rear decks, one facing the forest and the other out to the water, where ferries, ships and even the occasional orca can be spotted. 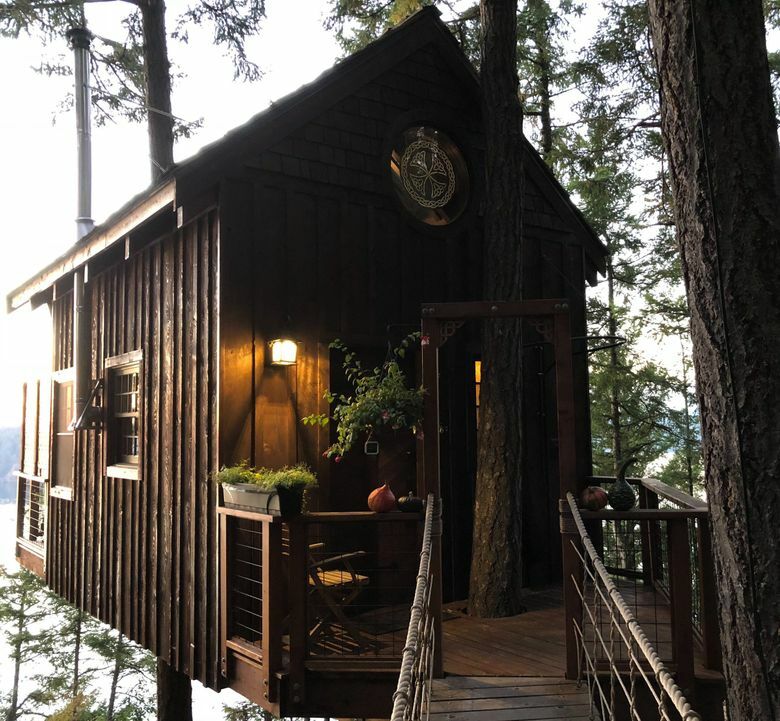 And you don’t have to climb anything; the tree house is reached by a bridge suspended from the forested side — it actually slopes down toward the door. 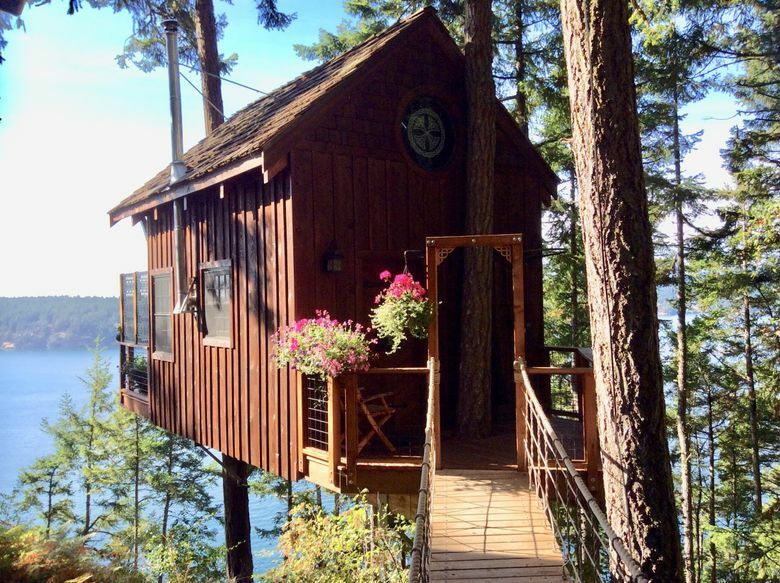 “It’s got to be the only tree house on the planet you walk down to get into,” said Sean. 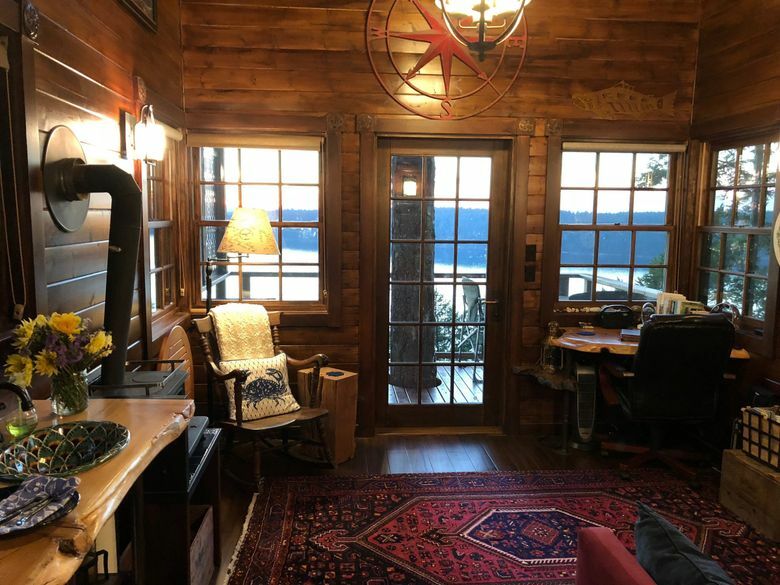 The tree house was originally meant to be a writing studio for Bob, but presumably he’s back to writing in the house, because a place this Wes Anderson-adorable stays pretty booked during the warmer months. And while it can sleep up to four, it’s popular with couples. “It seems like a majority of the people are here for a wedding anniversary, a proposal, honeymoons and birthdays,” added Sean. And yes, somehow this flying cabin has a real bathroom, with a flush toilet, hot water and an outdoor shower rigged onto the forest-facing side. “I just think he’s a peeper myself,” added Bob, which is cute, unless you’ve actually watched “Twin Peaks” and are unsettled by the thought of owls spying on you. In the dead of winter in Seattle, you can find yourself soaked in frigid rain, and you just want to get warm. You can do this at Jeffrey Frechette’s Airbnb in Greenwood, featuring an authentic Finnish spa that Frechette built with his own two calloused hands. The Airbnb is a courtyard house attached to the main dwelling (where Frechette resides), but the backyard, with the sauna and a saltwater hot tub, are booked for guests’ exclusive use.